All of our prices are in Australian dollars (AUD) including GST. We reserve the right to update our pricing at any time without notice. Please choose carefully as we do not give refunds if you simply change your mind or make a wrong selection. If you have received incorrect, damaged or faulty items, please notify us as soon as possible to arrange a refund, replacement, exchange or credit note. Claims must be made in writing to admin@itchystitchy.com.au within 7 days of receiving the goods. Every effort is made to portray our products clearly and accurately in all photographs. However colours can often appear different on different screens and the settings of your screen may affect how you view a product. For this reason, all colours viewed on screen are to be used as a guide only. Itchy Stitchy does not accept responsibility for perceived colour discrepancies. In addition colours may vary slightly due to the manufacturing process specific to each product and different batches can have slight colour variation. We use industry standards to safeguard the confidentiality of your personal information. We respect your privacy and will not disclose your personal information to any third party. Your information will remain secure and confidential and will only be used to inform you of news or special offers when you join our mailing list. Use of this website is considered acknowledgement and acceptance of these terms. Itchy Stitchy reserves the right to make any changes or amendments to the products offered and these terms without notice. 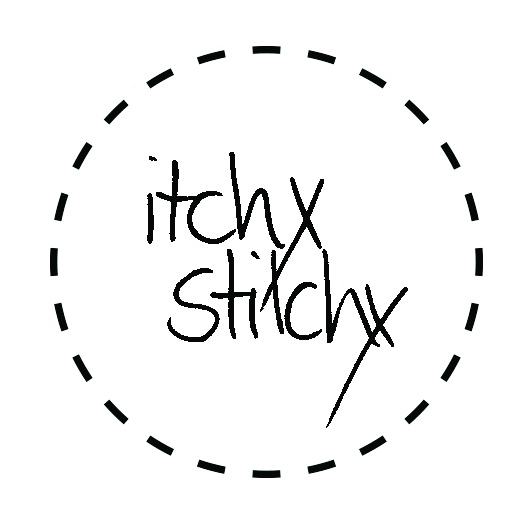 Itchy Stitchy shall not be liable for any loss arising from failure or delay in supplying goods ordered.